The vast pit known locally as “Chuqui” is being shut, replaced by an underground mine that will take five years to reach its full output of about 300,000 tons of copper a year. Company officials, meanwhile, remain confident that the Chuquicamata transition and other projects will allow it to maintain its output. Copper was trading near a nine-month high at $6,490 a metric ton on the London Metal Exchange on Tuesday and analysts at Citigroup Inc. are seeing a “bullish turn” in growth sentiment and activity in China, the largest consumer of the red metal. In February, Codelco’s monthly production fell to the lowest level in eight years after heavy rains in northern Chile impacted operations at the northern division, which includes Chuquicamata. Another unexpected setback was the delay in completing work at two of four smelters, which have been shut since December. Codelco had to invest $2.15 billion to upgrade smelters to comply with new emissions standards that kicked in last year. The Codelco chairman, Juan Benavides, sees a glass half full. “The projects are on track and Codelco’s production is forecast to remain at current levels,” he said in an interview in Santiago last week. “The start of the underground mine will coincide with the end of the open pit and that will allow us to maintain and even raise slightly production at the mine” once it’s fully in operation. Its rivals, however, are not far away from claiming the title as the world’s biggest copper producer: BHP Group produced 1.75 million tons in its last financial year. 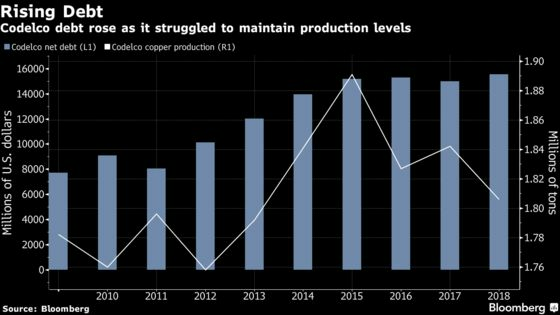 Worries about Codelco’s future have become a recurring theme in the copper industry. A decade ago, former CEO Diego Hernandez talked of “refounding” the company, which was formed in the nationalization of the Chilean copper industry in the 1970s. “We will see what happens on a year-by-year basis,” Benavides said. 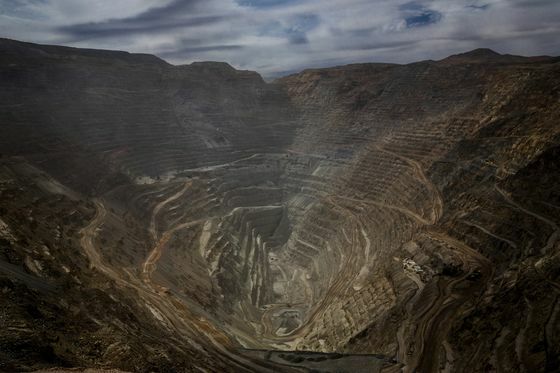 “If you look at Codelco’s production, it does require that some of the structural investment projects come into production,” said Ivan Arriagada, Chief Executive Officer at Antofagasta Plc and former vice president of finance at Codelco.